President Obama has a peculiar habit of arguing that foreign leaders are not acting in their own country’s national interests. Although this proclivity usually comes across as an unseemly professorial tic, Obama was merely stating the obvious when he predicted last fall that Vladimir Putin’s plunge into Syria’s civil war will get Russia “stuck in a quagmire and it won’t work.’’ Obama could have added that, by raining bombs and missiles on select insurgents in Syria, Putin has enlisted Russia as air-power enforcer for the clerical regime in Iran, helping the ruling mullahs and Revolutionary Guard commanders to project power through Iraq and Syria and into Lebanon. This may not have been one of the talking points Secretary of State John Kerry raised with Putin when they met recently in Moscow. But if Russia and the United States are to cooperate in halting the collapse of the Arab state system and eradicating ISIS, Putin will have to recognize that his intervention in Syria endangers Russia’s true interests. Preserving Bashar al-Assad’s crime-family regime in Syria no doubt seemed to Putin at one point a crucial objective that could be achieved fairly quickly with a decisive military intervention. His tally of Russian interests would have started with a need to retain docking rights for the Russian navy at Syria’s Mediterranean port of Tartus, sole warm-water port for Russian ships beyond the Black Sea. Putin has dropped hints that he also wanted to demonstrate that Moscow, unlike Washington, does not leave its allies in the lurch when they come under threat. And he has also alluded to a ricochet interest in defeating jihadist fanatics in the Levant so that they don’t have to be fought in the restive Russian regions of Chechnya, Dagestan, and Ingushetia. The FSB, successor to Putin’s old employer, the KGB, has estimated that there are 2,500 Russian citizens who have gone to Syria or Iraq to fight for ISIS. These holy warriors and like-minded fighters from Uzbekistan, Tajikistan, Kazakhstan, and Kyrgyzstan do represent a threat to Russian security. But Putin’s leap into the Levantine maelstrom is hardly the soundest way to counter that threat. The Russian passenger plane brought down over Sinai by an explosive device that ISIS took credit for planting was the first sign that Putin will pay a high price for his sortie into Syria. Then came Turkey’s shooting down of a Russian warplane that was reportedly bombing ethnic Turkmen villages in northern Syria — after Turkey had repeatedly warned Russia to cease bombing those villages. Some of Putin’s subsequent denigration of Turkey’s President Recep Tayyip Erdogan was justified. Erdogan, once a close ally of Assad, has allowed fighters, weapons, and money meant for ISIS and other Sunni jihadists to cross Turkey’s border with Syria unimpeded. 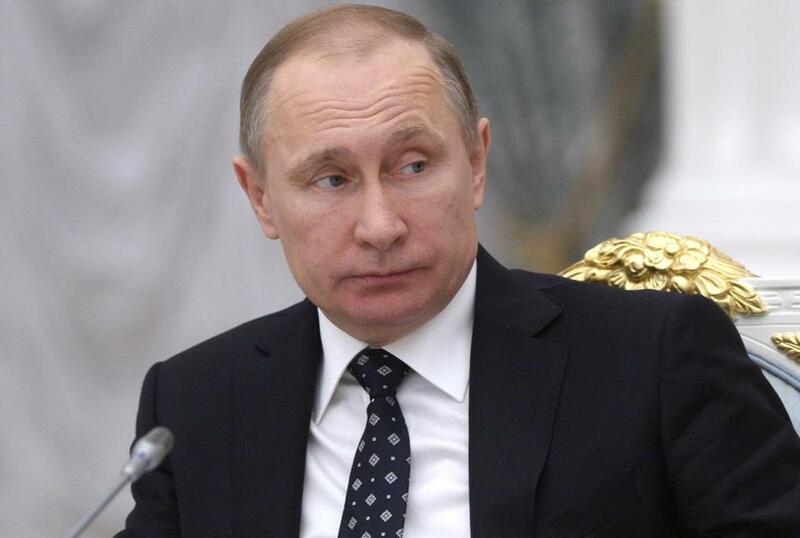 Moreover, Turkish profiteers have been trafficking in oil from ISIS sources in Syria, as Putin says they have. Erdogan, whose strongman habits mirror Putin’s own, has been more intent on suppressing Kurdish groups fighting ISIS than on helping to eradicate it. Nevertheless, Putin has now made Russia an accomplice not only of Assad’s massacre of the innocents, but of Iran’s Islamic Republic, whose Revolutionary Guard commanders, soldiers, and Shi’ite militias have kept Assad in power until now. As seen through a sectarian lens, Putin has enrolled Russians on the side of some 200 million Shi’ites against the world’s 1.3 billion Sunni Muslims. And as the latest display of hostility between Saudi Arabia and Iran makes plain, there will be no peace anytime soon in Syria that might allow the Russian bear to escape its clinch with the Syrian tar baby. Putin’s version of the peace plan approved by the UN Security Council calls for elections to be conducted according to rules set by the Assad regime, a wrinkle that would mean renewal of rule by that regime. This is a prospect that nearly all the insurgent groups in Syria will reject. The war in Syria will not end until the Assad regime is replaced with a government reflecting the (overwhelming Sunni) majority in Syria. So Russia will likely be trapped in the Syrian quicksand for a long time — a prospect that cannot serve Russian interests. At least in this one instance, Putin ought to have heeded Obama’s unsolicited advice. Alan Berger is a retired Globe editorial writer.